Free to receive him merrily. Detail from the cover of The Sentimental Valentine Writer, 1850. University of Glasgow, Special Collections, RB 2499/16. To soar above all earthly things. Above, an English Valentine lithograph by Joseph Mansell, 1845-1850. Chicago Institute of Art. 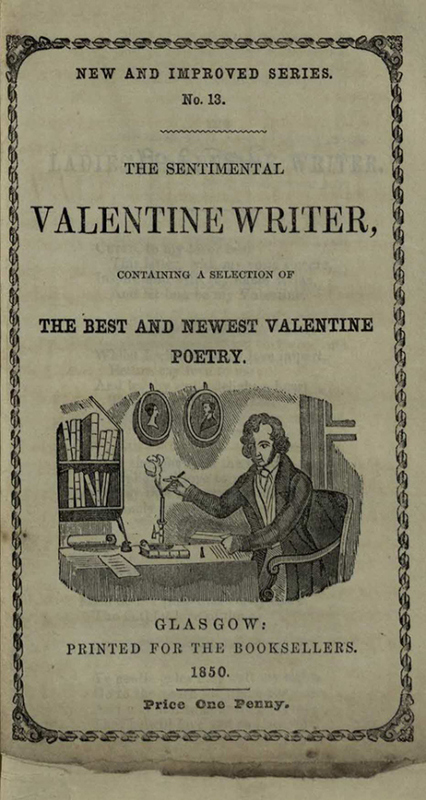 At the time that Tristrim Skinner wrote this 1848 Valentine poem, American Valentine cards were not yet commercially distributed in the United States. 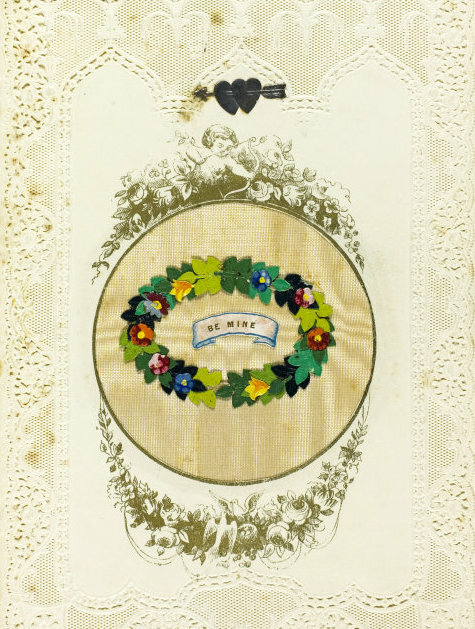 Expensive, elaborate cut-lace cards were imported from England throughout the 1840s until Esther Howland of Worcester, Massachusetts, formed the New England Valentine Company and imported English paper lace and floral designs. 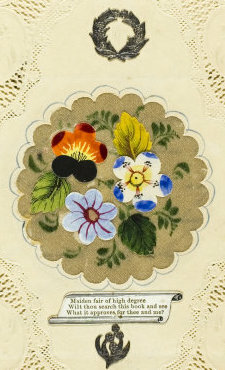 She created a dozen sample cards in 1849 and placed her first advertisement in 1850. All else on earth except true love. Aided by Jove to sing thy praise. “Maiden Fair of High Degree,” 1845-1850, by Joseph Mansell, English. Collaged elements with water-colour on cut and embossed paper. Art Institute of Chicago. My heart’s best wishes even to tell. Follow the sweet birds of the air? While I through life would hold mine dear. 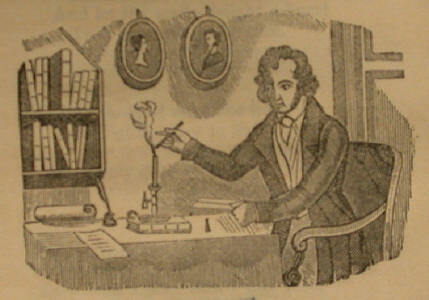 Tristrim Lowther Skinner probably composed the above verses but it is possible he could have adapted them from a guide, such as The Sentimental Valentine Writer. Valentine poem excerpted from Mary Maillard, ed., The Belles of Williamsburg: The Courtship Correspondence of Eliza Fisk Harwood and Tristrim Lowther Skinner 1839-1849 (January 2015). Available at Kindle, Kobo, iBooks. This entry was posted in Uncategorized and tagged 1840s southern belle, 1848 Valentine poem, 19th century love and courtship, antebellum southern culture, documentary editing, early American Valentine poetry, early Victorian American love letters, early Victorian American youth culture, love and courtship, Mary Maillard, nineteenth century courtship, romantic love in the Old South, Skinner family Edenton, The Belles of Williamsburg: The Courtship Correspondence of Eliza Fisk Harwood and Tristrim Lowther Skinner 1839-1849, Tristrim Lowther Skinner, Valentine 2018. Bookmark the permalink.